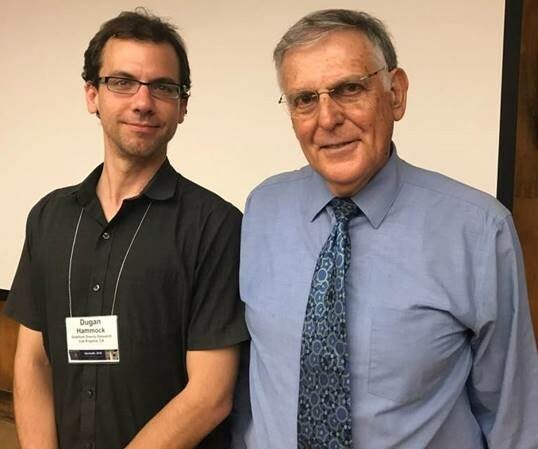 QGR scientist Dugan Hammock recently attended the 9th Aperiodic Conference at the Iowa State University in Ames: a meeting of material scientists, chemists, physicists, and mathematicians. He met Nobel Laureate Dan Shechtman, who discovered Quasicrystals in the 1980’s along with other big names in the field including An-Pang Tsai and Joshua Socolar. Dugan also presented work on the Empire Problem (in the context of the Cut-Projection method) for Quasicrystals of two and three dimensions.